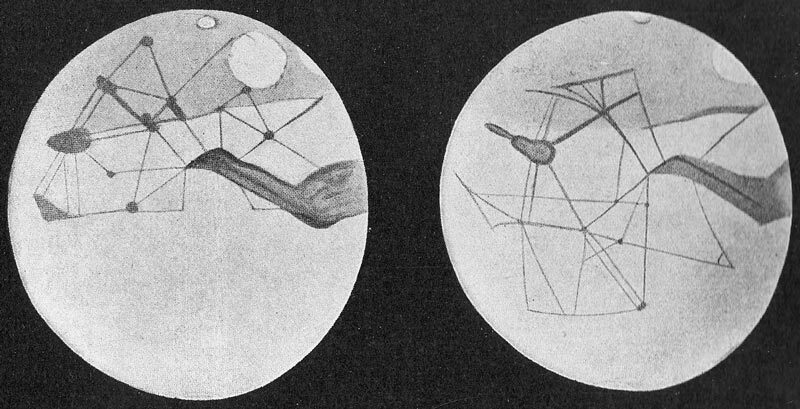 Percival Lowell’s sketches of the Martian canals. A piece of history for today’s image. These spidery lines are astronomer Percival Lowell’s sketches of canals on Mars, dated from the late 1890’s or early 1900’s. During the opposition of Mars in 1877, the Italian astronomer Giovanni Schiaparelli described what appeared to be long lines etched in the surface of Mars. He called them canali, the Italian for channels, and believed they were a natural phenomenon. However, the American astronomer Lowell believed differently. Working out of the Lowell Observatory in Flagstaff, Arizona, he maintained that these lines were irrigation canals, built by a dying Martian race in an effort to transport water from the polar ice caps to more habitable regions. 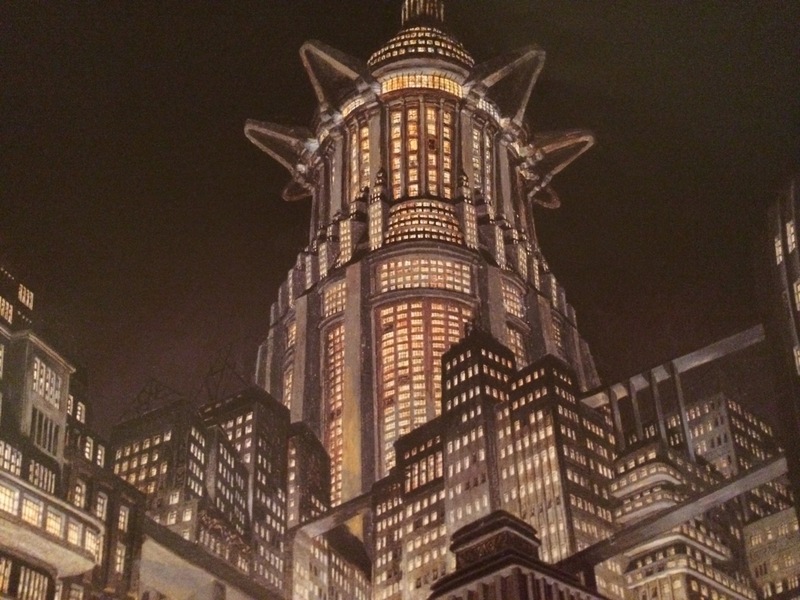 It may have strained credulity, but it certainly captured the public imagination. Lowell’s theories inspired a generation of science fiction writers, including H.G. Wells’s The War of the Worlds and Edgar Rice Burrough’s Barsoom series. Although Lowell’s theories turned out to be false, they represent an important moment in the history of astronomy, as scientists focused their attention for the first time on the reality of life on the Martian surface. 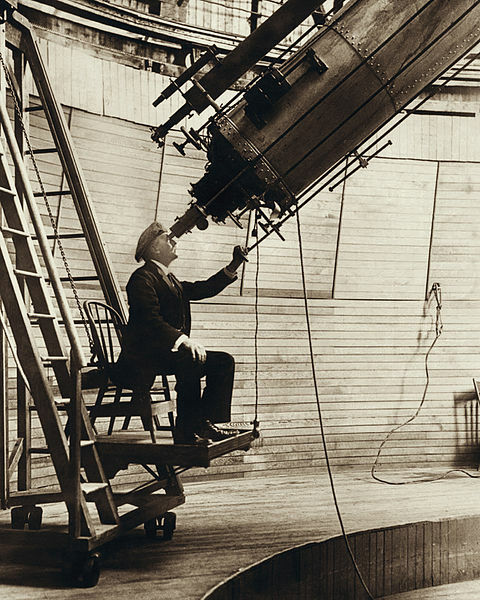 Lowell observing Venus in the Lowell Observatory, 1914.